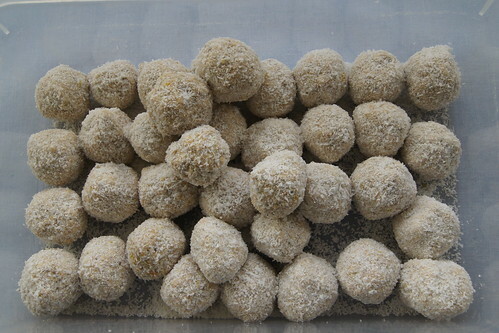 My kids love the chocolate balls I make and they are a great quick treat to make for school lunch boxes. I thought I would have a play with tweaking the recipe to give it a bit of nutritional value. While still very much a treat food, adding the chia seeds does give a little Omega-3 boost to their lunch box. 1. 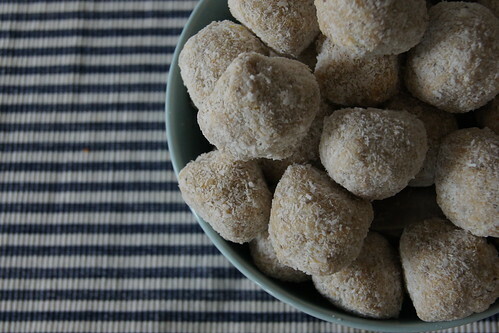 Place Marie biscuits into a plastic bag (out of the packet) and then crush with a rolling pin. 2. Or if you have a blender, you can stick the biscuits in the blender to crush them. 3. 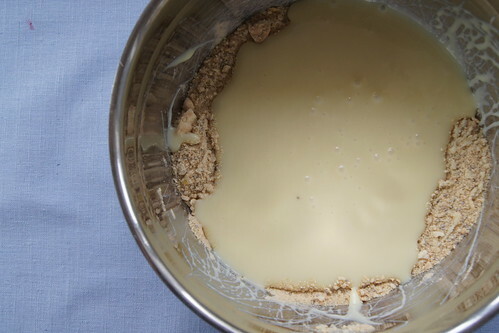 Once to a consistent texture pour into a medium size bowl. 4. 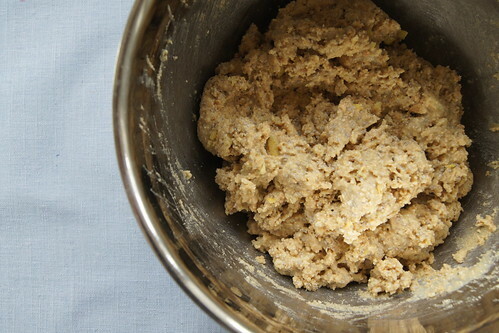 Add lemon juice, lemon rind and chia seeds and stir. 5. Pour in condensed milk and combine thoroughly. 6. The mixture is quite sticky by this stage. 7. Pour coconut into a shallow bowl. 8. 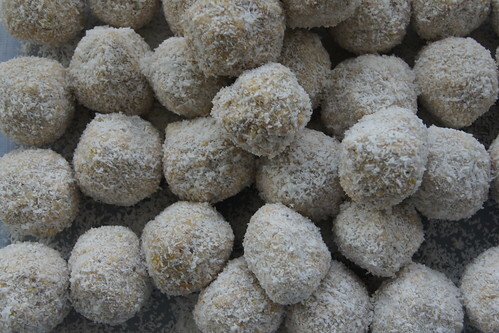 Using a tablespoon of mixture, roll into ball then drop into coconut and cover completely. 9. 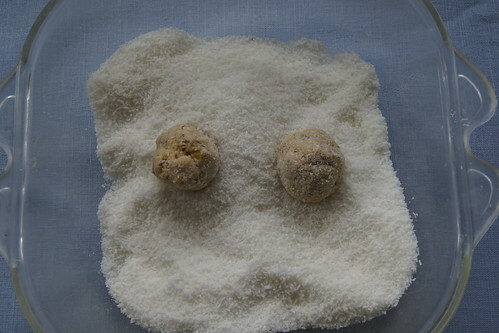 Place chocolate ball into a container and continue making balls until you have used all the mixture. 10. Place in an airtight container in the fridge until set. 11. They are kept best in the fridge even once set. Makes 35. 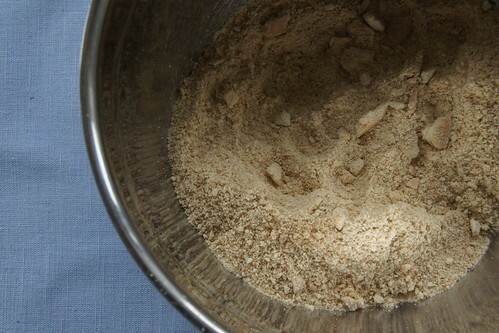 Or if you have a blender, you can stick the biscuits in the blender to crush them. 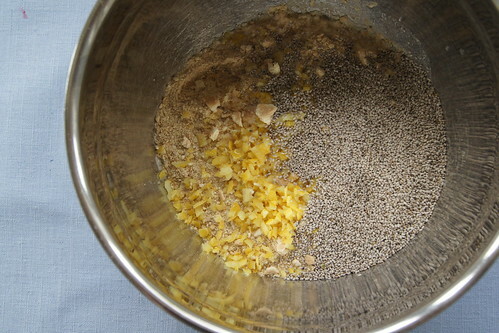 Add lemon juice, lemon rind and chia seeds and stir. The mixture is quite sticky by this stage. They are kept best in the fridge even once set. Makes 35. 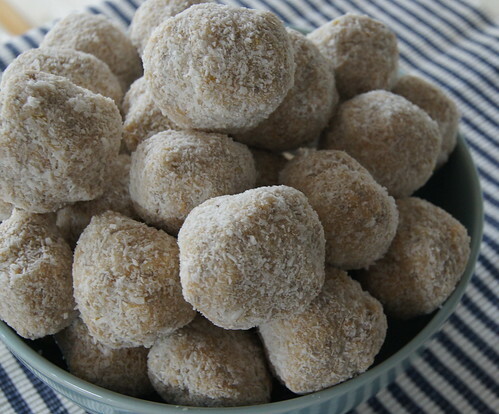 Have you tweaked the standard chocolate ball recipe?